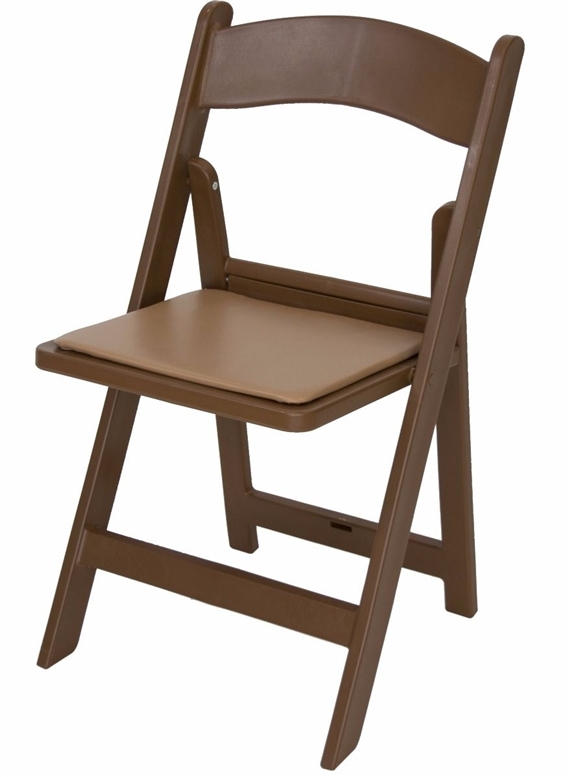 Wholesale Brown Resin Folding Chair - 1,000 lb Cap. Resin Folding Chairs have TWO COMPONENT RESIN - an outer, smooth all weather resistant aesthetic skin , and an inner expanded closed cell modified resin core with high mechanical resistance that behaves like a bone and gives exceptional strength to the chair. The LOAD rests on the two bars supporting the seat, not on the screws as on similar Resin Folding Chairs. White Mahogany and Black Resin Chairs. 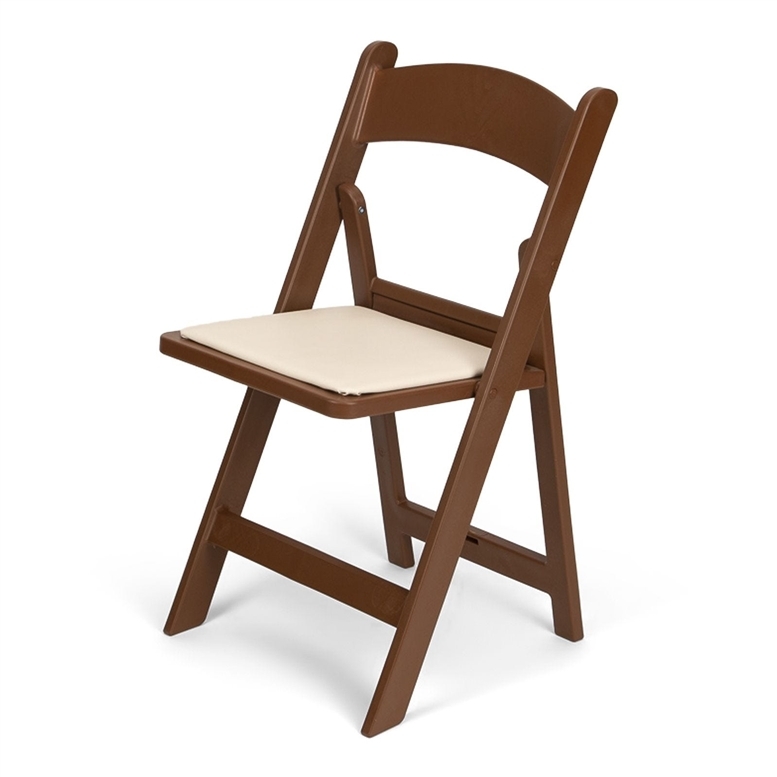 Our White Resin Folding Chairs are folding, stacking and come equipped with an interlocking feature that makes moving and storing them easy.